Shortly after the publication of my Kink neckwarmer in Knitty (First Fall 2010), I went on a sock-yarn, mini-shawl spree. Sock yarn is so pretty, decadent and efficient (a single 100g skein is usually enough for a nice little shawl). 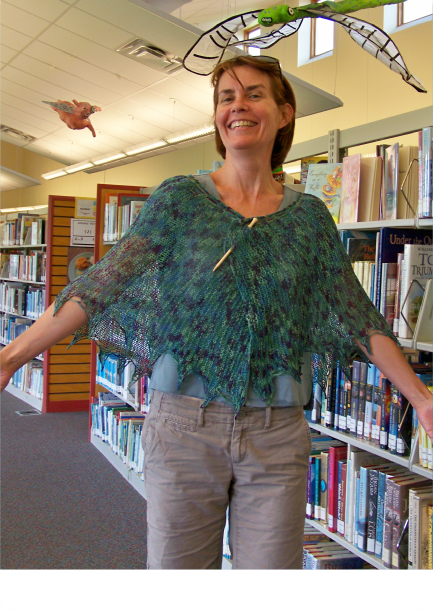 Unfortunately, on more than one occasion I ran out of yarn before the shawl was done. After yet another desperate search for just 3 yards of yarn to finish binding off (Sandy Griffin I love you!!!) I’d had enough. 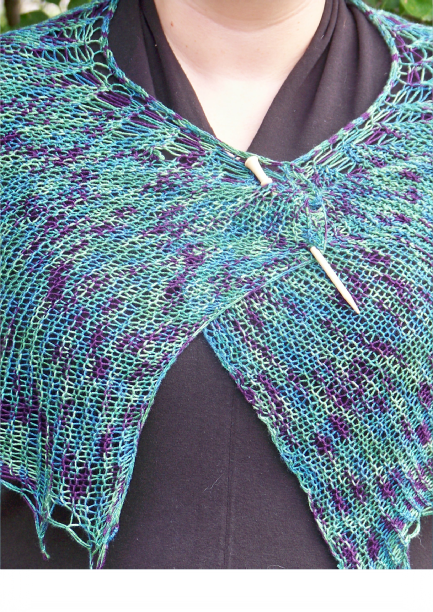 I wanted a pattern that would allow me to use a full skein of yarn without going over. I realized that with some adjustments Kink would be perfect for this. I tweaked the pattern and was thrilled with the results. 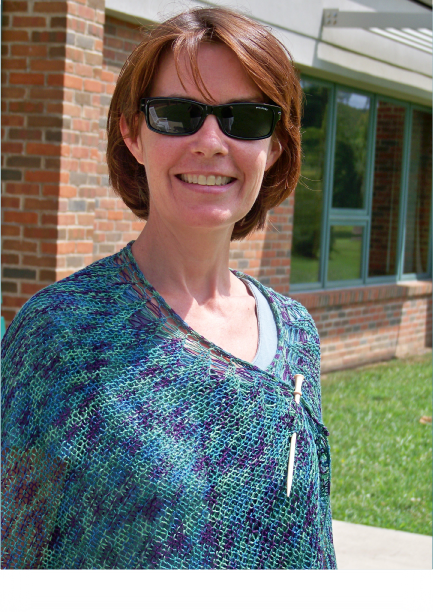 Finally, a sock yarn shawl pattern that won’t leave you hanging at the end of the skein!